The Spiire Graduate team has pulled out all the stops in getting the GV Palliative Care Garden finished in a matter of months. From the design stage, to breaking ground and completion, it’s been an amazing journey for all involved. For a patient, visitor, or member of staff, time spent in a hospital can be a stressful experience. 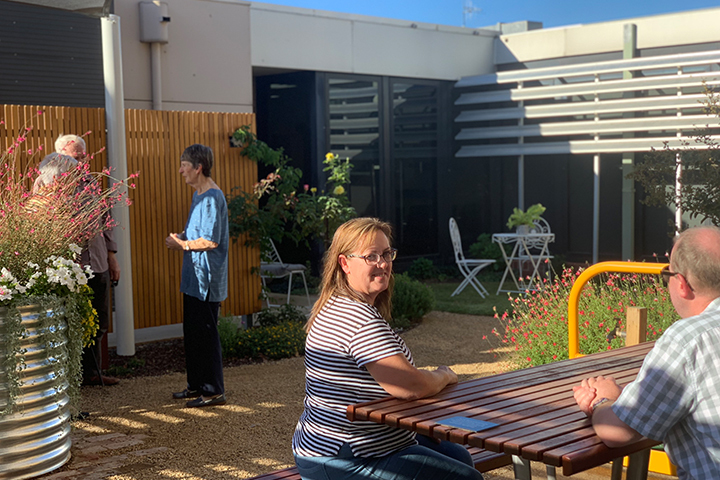 The intent of the Palliative Care Garden is to provide a space that encourages users to explore and engage with the natural world, a place for self-reflection, meditation and positive health outcomes. Spiire was engaged by GV Health to create a new courtyard for the Palliative Care Ward at GV Health Shepparton. The intent of the project was to create an outdoor space which supports palliative care and dementia patients with normal daily activities, and time to reflect and socialise with family and friends. Thank you to the local businesses who donated time and resources, and to GV Health for the opportunity to be involved in such a fantastic project!